Emergency Dentists USA offers an excellent selection of emergency dental clinics that offer after hours dental services and walk-in dental clinics that have open appointments when you need them. Take a look at the listings below to choose a friendly and caring Long Beach emergency dentist or call our hotline to speak with an operator who can assist you in locating the right emergency dentist for your needs. Emergency Dentists USA was a lifesaver for me over a holiday weekend when I had the worst toothache! They helped me find a dentist by my house that was able to get me in that day. There are a variety of options for Long Beach emergency dental services when you are dealing with a cracked tooth, a lost filling, or even a painful abscess. •	Walk-in dental clinics – this type of dental clinic allows you to visit the dentist without having to wait for an appointment. Long Beach offers this type of clinic via Dr. Zak Long Beach Dental Care on Long Beach Boulevard. Dr. Zak also offers extended office hours during the week, making it easy to get an appointment when you need it. •	After Hours Dentists – this type of dental clinic offers extended hours during the week and some evening and weekend hours. Dr. Stephen Adams D.D.S. has an office location on East Bixby Road and keeps his clinic open until 7:30 p.m. on Thursday evenings. He also offers Saturday hours until 3 p.m. Emergency Dentists USA is designed to offer you a great resource for finding the perfect Long Beach emergency dentist and save you from suffering through another day or night with dental pain. Take a look through the listings below to choose the Long Beach emergency dentist whose office hours suit your needs, or call our 24-hour hotline to speak to a real person about your dental emergency. Description Since Long Beach is so large, it can be overwhelming to find an emergency dentist in your time of need. By calling this number you’ll be able to get the name, number, and address of the emergency dentist in Long Beach, California that is available when you need them most. Our service is open 24 hours a day, 7 days a week to assist you during your emergency situation! Description: Dr Stephen Adams DDS offers a perfect selection of after hour dentist hours in Long Beach. You can easily find a dentist appointment on Saturdays at this office.. This office makes for a good choice if you’re suffering from emergency dental pain on the weekends! Monday–Wednesday & Friday, 8:30 a.m.–5:30 p.m.
John B. Mcguire, Emergency D.D.S. Description: This emergency dental clinic is open for your needs on Saturdays and has a proven track record of helping customers with emergency needs in a solid and professional manner. Cut tounges, cracked teeth, broken crowns, and serious abscesses are just some of the issues that you can get help with here. Description: The Long Beach Dental Care center with Dr. Zak is a great choice if you are needing an after hours dentist as they offer extended hours Monday – Thursday. Description: Long Beach Smiles is a strong dental office with a history of professional care and a comfortable environment. They offer urgent care dentist hours on Tuesdays and Thursdays until 7pm so you can make it to your appointment without having to get out of work for the day. Description: The Bixby Knolls dental group is great if you’re looking for an emergency dentist with walkin appointments on weeknights because you can get into this dental office until 6pm every weeknight. Description: Dr. Sutherland is one of those emergency dentists in Long Beach that loves helping children get the care they need for their oral health. 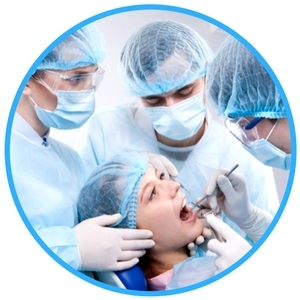 The team at Long Beach Dental Arts provides all dentistry services. They can do cleaning and checkups, but also specialized services. They have a Periodontist, Oral Surgeon, and Endodontist on staff ready for whatever comes into the office. •	A visit to your Long Beach emergency dentist is similar to visiting your regular dental office. Most emergency dental clinics offer similar services including x-rays, routine examinations and fillings, and more complicated procedures like tooth repairs. •	Gather your most recent dental x-rays and any notes from your last dental visit, and bring them with you to visit your emergency dentist. Although he or she will probably require new x-rays, it is a great chance to get a comparison to see if your dental problem has progressed. •	Try to arrive at least 15 minutes prior to the scheduled appointment. This gives you plenty of time to fill out any necessary paperwork and to ask questions about your upcoming examination. •	Let the dental clinic staff know how you plan to pay for your dental services. Most emergency dental clinics accept cash, credit cards, and personal checks. Ensure that your Long Beach emergency dentist accepts your dental insurance. •	Let your Long Beach emergency dentist know if you have any allergies to medications. Bring a list of any current medications with you to the dental visit. There are plenty of common 24-hour dental emergencies that might send you on a frantic search for an emergency dentist in the Long Beach area. Some of these emergencies include damage to your teeth in the form of a broken tooth, a lost crown or even a tooth that is completely knocked out. We have outlined some of these emergencies and some at home remedies below. 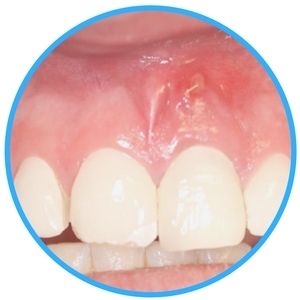 An abscess is a type of infection that can occur inside the mouth. Generally, the abscess is found in the space between the gum and tooth or around the actual root of the tooth. An abscess is particularly dangerous because the infection can easily spread from the gum to other areas of the mouth including the bone beneath the tooth. Rinsing your mouth with salt water several times per day can help to soothe the pain. Soft tissue injuries include injuries to the mouth, lips, gums, tongue, and cheeks. This type of injury often comes from a sports accident or a fall. It is a good idea to rinse your mouth with a mild saltwater solution to remove any debris. You can use gauze or a tea bag that has been moistened to place pressure on any part of the mouth that is bleeding. 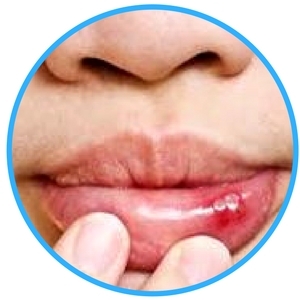 Use a cold compress to reduce swelling on the lips or cheeks and help to minimize pain. A lost filling may or may not be a painful dental emergency. If you lose a filling, it is important to visit your emergency dentist as soon as possible to replace it. 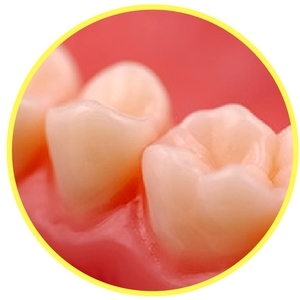 If the filling is not replaced, the hole in the tooth will collect particles of food and will continue to decay. This becomes painful when the decay reaches the internal structures of the tooth. Use a piece of sugarless gum to fill the hole in the tooth until you are able to reach your dentist. You might need an emergency tooth extraction if you have a tooth that is badly decayed or even infected. If you have a tooth that requires an emergency extraction, it is important to visit your Long Beach emergency dentist immediately. In some cases, a dentist will pull a tooth and leave that space open or replace the tooth with an implant or a bridge. The dentist uses a general anesthetic to block the pain in the area of the tooth and a special dental tool to remove it quickly. After the procedure, stitches are sometimes used to close the gum. In general, a tooth extraction takes about one to two weeks to fully heal. Visiting the emergency room rather than an emergency dentist for a toothache is probably not the best idea. In many cases, an ER physician is not trained to handle tooth problems and must refer you to an emergency dentist. The emergency room of the hospital is also going to be more expensive than visiting an emergency dentist because of all of the additional services that are offered. It is appropriate to visit a hospital emergency room for a dental emergency if the emergency arises from a fall, a car accident or a sports injury that could have caused damaged to the head or any other part of the body. In any of these cases, heading to the emergency room is your very best option. Once you have finished your visit to the hospital emergency room, you will normally be referred to an emergency dentist for proper repair of your tooth or teeth. Whether you are a permanent resident of Long Beach who is looking for a new dentist or a visitor who encounters a painful dental emergency, this city is an excellent place for quality dental care. A broken tooth or a lost filling is no problem, even if the dental emergency happens in the middle of the night. With great dental offices like Long Beach Smiles Dentistry or Bixby Knolls Dental Group, you can rest assured that your broken tooth or painful abscess will be handled by a caring and qualified dentist. Don’t hesitate to call our 100% free referral service to get connected to an emergency dentist near you quickly! 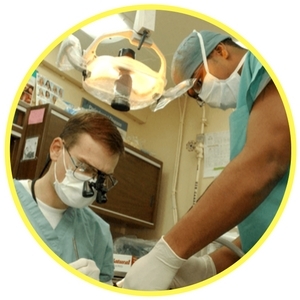 Use the American Dental Association website located here: http://www.ada.org/en to gather information regarding the current licensing and certification of any dentist that you choose. This is important to ensure that your dentist is both registered and certified. 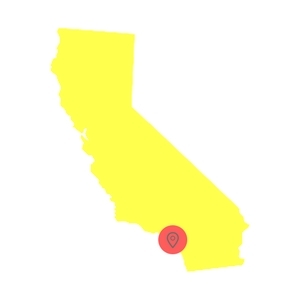 You can also check with the California Dental Association here: http://www.cda.org/ to learn more about dentists in the Long Beach area or anywhere in the state of California. Each website offers a search option that makes it simple to find any dentist you choose.